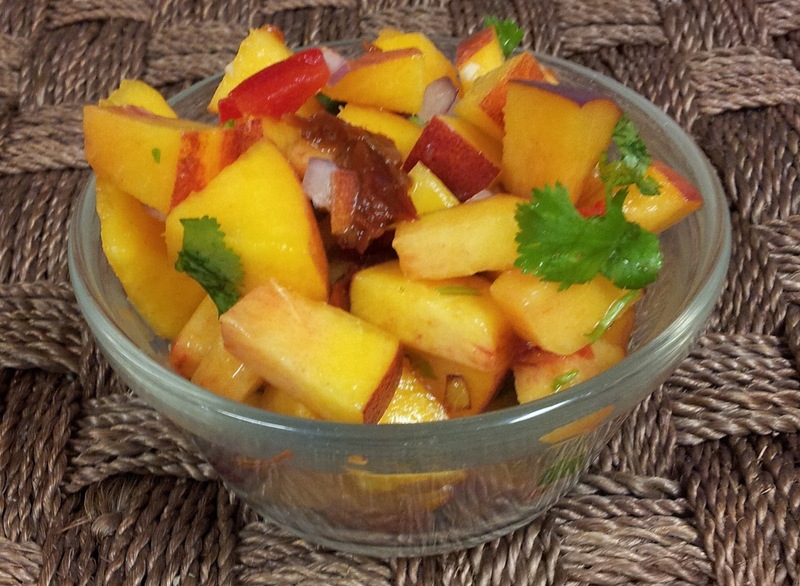 I know the prime peach season has come and gone but I just had to share this peach salsa. I made this awhile back and put it on just about everything. 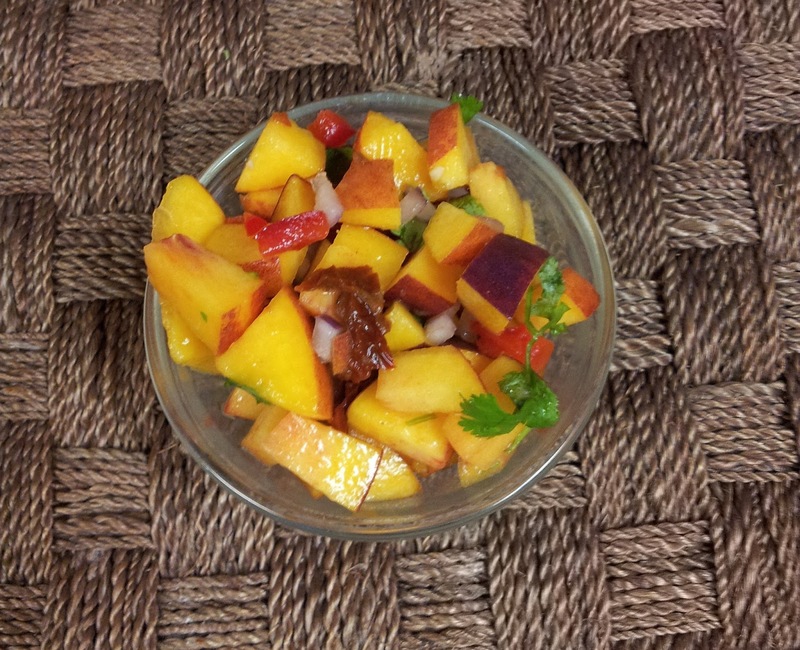 Even foods that I never knew would go with peaches tasted fantastic with the chipotle spiced peaches. The sweet with the heat was perfect. I was careful not to add too much chipotle as it I didn't want it to be too spicy. I wanted the sweet to shine through with just a touch of heat. It was seriously fantastic!